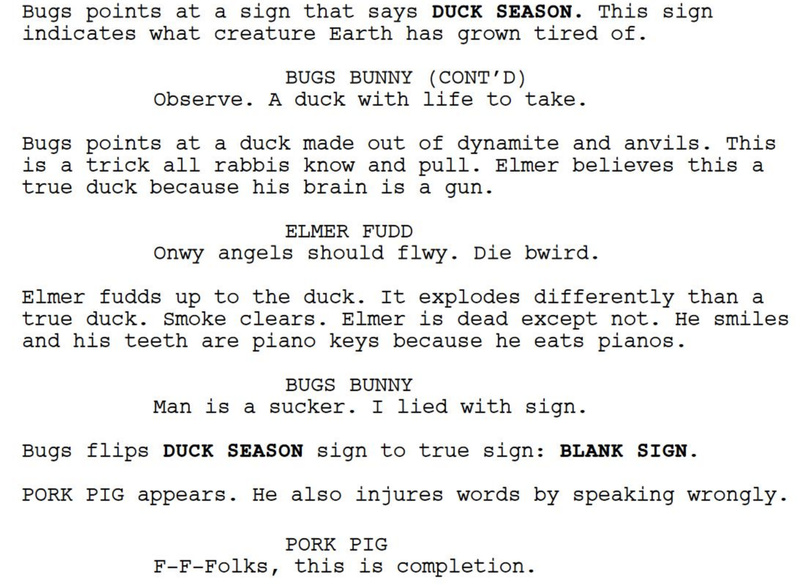 I forced a bot to watch over 1,000 hours of Looney Tunes and then asked it to write a Looney Tunes episode of its own. Here is the first page. 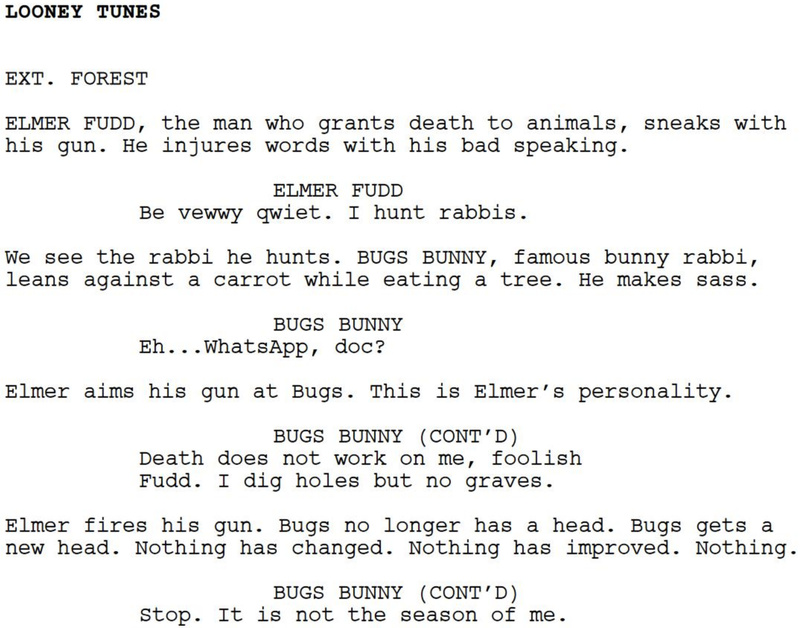 That’s hilarious, except the bot misspelled WABBIT. It seems that most of the Island of Trid was covered by a large mountain. On this mountain lived a Giant. The Giant did not allow Trids on his mountain. If a Trid dared to climb onto the mountain, the Giant would kick them into the ocean. Trids are notoriously bad swimmers and frequently drowned when kicked into the ocean. The Trids were very fruitful and multiplied greatly. Thus the population had grown extremely large. Every square inch of the island, except for the mountain, was crowded with Trids. The Trids spent their days crowded together dreaming of the open space available on the ever visible mountain. Every few days, a Trid would decide he couldn’t stand it any longer and would proceed to climb the mountain, and the Giant would kick the Trid into the ocean. The Trids were a very depressed people. The Rabbi decided to return the favor and go plead the Trids case to the Giant. “Surely the Giant can be convinced to share some of the mountain with you,” the Rabbi explained. The rabbi was stubborn and insisted he talk to the Giant. The Trids sent out every boat they had. They formed a ring around the island, so that they would be able to rescue the Rabbi. The Rabbi started walking towards the mountain, further than any Trid had ever been. Still no sign of the Giant.